Monday morning can be a beast, we often dread going back to our daily routine and leaving the comfort of the weekend. But Monday morning can be a time to regroup and make the most of an week filled with potential. Today I am starting with a bold cup of 1850 Brand coffee and planning some big projects. I’m also carving out time to enjoy the sun and take a few adventures with my girls. I thought I’d share with you 3 ways to start your week like a boss. Be bold, and make the most of your week ahead. 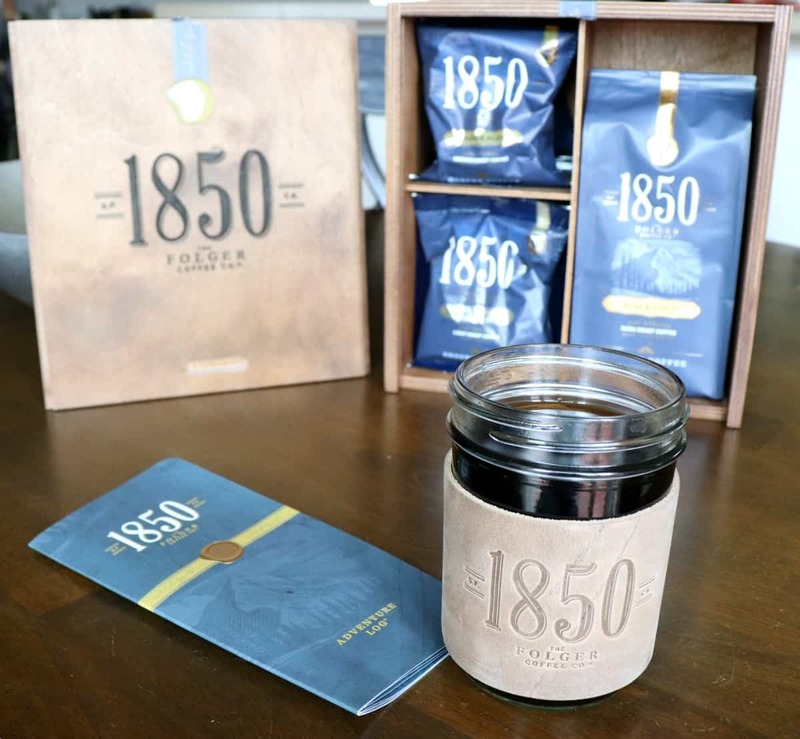 Last week I introduced you to 1850 Brand coffee, a new premium coffee from the makers of Folgers. This unique blend of ground coffee delivers a bold, yet smooth taste and is evenly roasted for consistent coffee flavor with less bitterness. 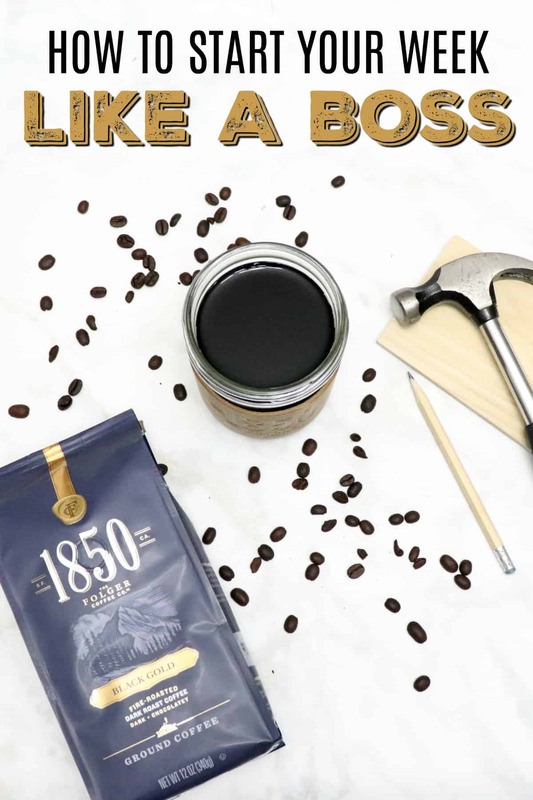 I always start my day with a cup of coffee and I am loving the bold flavor of 1850 Brand coffee from Meijer. I have been looking forward to a cup of Black Gold each morning to really fuel my day. 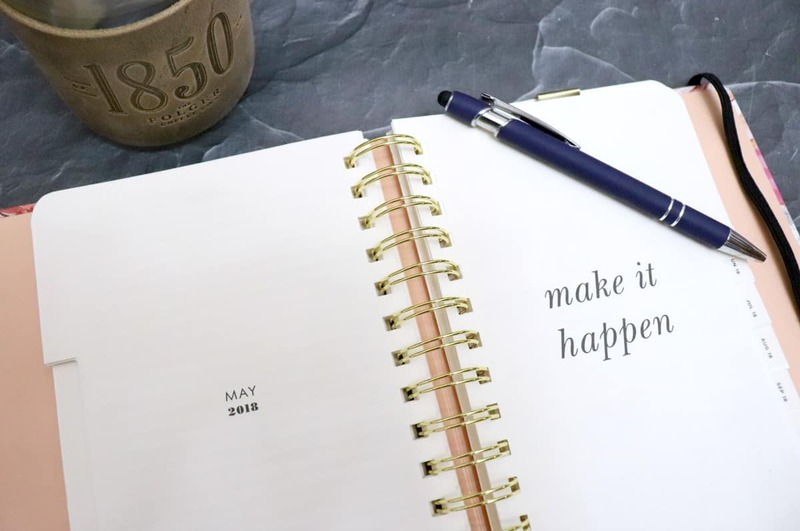 Waking up on a Monday morning I need to be intentional about how I use my time or I run the risk of getting into a grumpy rut and not making the most of a week full of potential. If you want to start your week with a bold cup of delicious coffee, visit Meijer from 5/6 – 6/2 and take $1 off any 1850 Brand Coffee Product with the mPerk digital coupon (while supplies last). You can find a variety of roasts to fit your taste from the dark Black Gold to the lighter Lantern Glow. Get up and start your day with coffee. It may sound simple, but hitting snooze and moaning about the week ahead will not help you conquer anything. When your alarm goes off, get up and head to the kitchen for a bold cup of coffee. Plan your week. While enjoying your coffee, sit down and plan out your week. Look at your planner and your family’s schedules and see what your week has in store. Being prepared for the week will help you make the most of what is on your schedule. You don’t want to be caught off guard by something mid week that you could have prepared for ahead of time. Schedule fun. While planning your week, be sure to carve out some family time, a girl’s night, or just a little me time. These breaks are so important to help refresh and reset so you can continue to rock your week like a boss. On my schedule this week are a few simple and pretty craft projects, a big outdoor building project and a new sewing tutorial. The kids have dance, t-ball and swimming lessons on various nights plus a end of the year celebration. On the personal side, I am setting aside time on the one hot and sunny day that is forecasted later this week to bike and hike with my girls. My oldest just got a new bike and we are going to put it to work around the neighborhood and through a few trails. 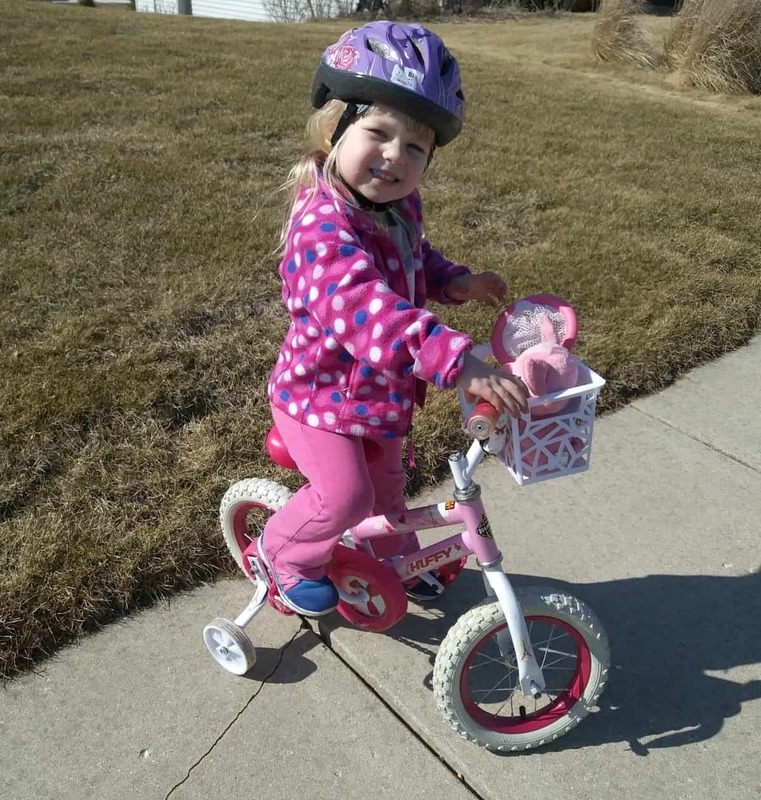 My youngest is determined to get her training wheels off this summer so lots of practice is in store. Knowing I have this mid week break to let loose and take a little adventure makes whatever is on my schedule seem manageable. Start your week like a boss by making time for a few special adventures that will fuel you to conquer your other endeavors. Let me leave you with a little inspiration for your Monday. Back in 1850, J.A. Folger started something new that would help prospectors during the Gold Rush as they headed to work and sought their fortunes. His bold and relentless commitment to quality helped set a new standard for coffee and embodied the spirit of the era. 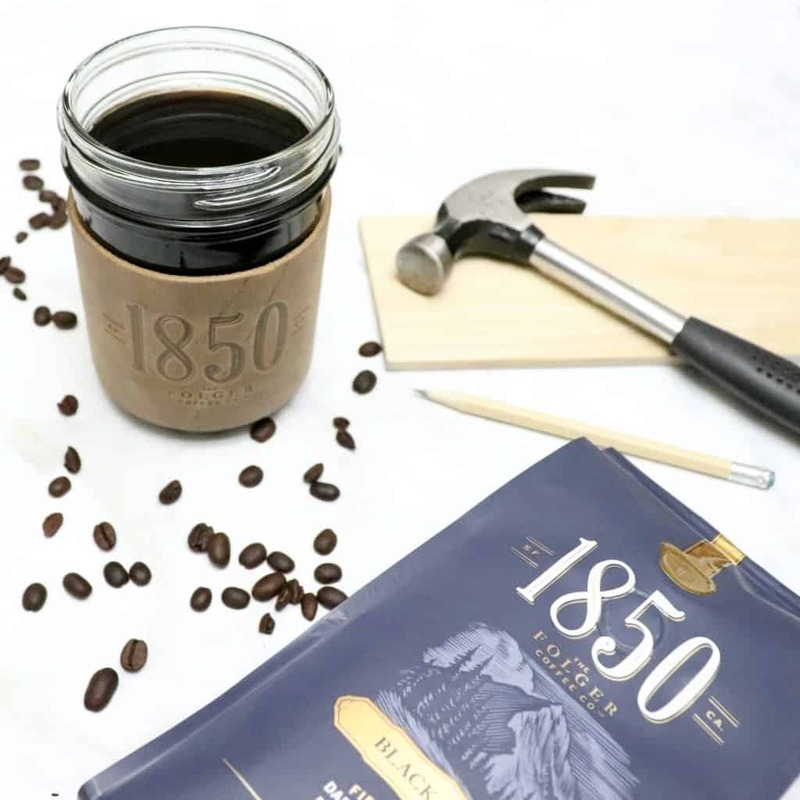 Today, start your day with a bold-yet-smooth cup of 1850 Brand Coffee, the official coffee of bold people fueling original ideas, new commitments, and brave endeavors. Be sure to check out 1850 Brand Coffee at Meijer and take advantage of the mperks offer. You’ll find grounds, k-cups and even ready to drink iced coffee so you can enjoy this bold new coffee the way you like it. Have a fantastic week friends. I’m totally borrowing your tips!! !